The accurate determination of angle and position is becoming increasingly important in many areas of electronics, reports Nick Flaherty. Angle sensors detect parameters such as the position of the fuel throttle or of the windshield wipers in a vehicle, or to determine the exact angle in an electric power steering (EPS) system. TDK has developed angle sensors that operate on the TMR (tunnel magnetoresistance) principle that gives a greater output voltage range to give higher accuracy than sensors based on AMR (anisotropic magnetoresistance) or GMR (giant magnetoresistance) where output signals are 90mV and 360mV, respectively. TMR sensors use two superposed ferromagnets separated by an extremely thin insulating layer. In the event of a change in the external magnetic field, electrons can tunnel through this layer and affect the conductivity of the ferromagnets considerably more strongly than other MR technologies. The result of the higher MR ratio is a much higher output voltage of 3000mV. The high dynamic range of 96dB means the angle sensors do not require output amplifiers and their thermal coefficient of -13% over the wide temperature range from 25°C to 125°C is significantly improved over other technologies. This allows angle sensors with analogue output to have an accuracy of less than ±0.6° over a wide range of magnetic field strengths from 20mT to 80mT. Types with digital outputs and self-calibration even attain an unsurpassed angle measurement accuracy of less than ±0.2°. 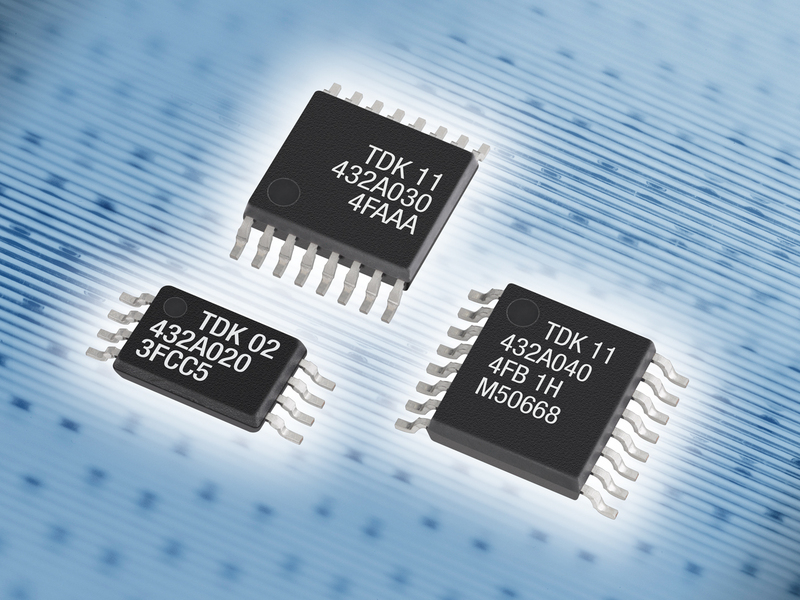 TDK has launched three TMR-based angle sensors, from the TAS2004 with an analogue output in a TSSOP8 package and an angle accuracy of less than ±0.6° to the TAS4501, where two identical sensors are mounted to assure redundancy. This also offers an angle accuracy of less than ±0.6° and is available in a VSOP16 package. The ATAS2001 sensor combines the TMR sensor with a signal processing ASIC to provide a digital output alongside the high angle accuracy of less than ±0.2°, thanks to self-calibration. This device also supports the ISO 26262 automotive standard.